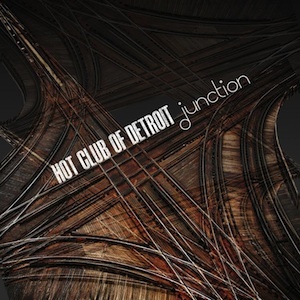 Following up It’s About That Time, Night Town and the eponymous 2006 debut Hot Club of Detroit – Hot Club of Detroit expands its sonic and compositional horizons with Junction. Retaining its original lineup of reeds, two guitars, accordion, upright bass and no drums, this is the band’s fourth release for Mack Avenue Records. There are personnel changes, however, and for the first time, the Hot Club of Detroit is joined (on three tracks) by a vocalist: French musician Cyrille Aimée, a native of Django Reinhardt’s hometown and third-place winner of the 2010 Thelonious Monk International Vocal Competition. Irabagon is assertive from the start, contributing his own “Goodbye Mr. Anderson” as the album opener. (The title comes from The Matrix, the chords to an extent from Bobby Hebb’s “Sunny” and John Coltrane.) The writing partnership of Labro and lead guitarist Evan Perri is also central to the album’s sound. From their rich creative exchange comes the flowing soprano sax/accordina melody of “Song For Gabriel” (named for pop legend Peter Gabriel); the Pat Metheny-esque 6/8 time of “Junction”; and the French-style waltz “Midnight in Detroit” (a parallel to Stephane Wrembel’s “Midnight in Paris,” used in the Woody Allen film). “The openings of ‘Song For Gabriel,’ and ‘Junction’ are very idiomatic to the guitar, which makes them feel like pop tunes to me,” adds Perri. Perri and Labro also co-arranged “Rift,” by Phish’s Trey Anastasio, to close the album, adding a foundation of brisk la pompe rhythm guitar, even a hint of Western swing, to a 1993 rock song of fairly epic (and very electric) proportions, though without abandoning the tune’s structure. “I considered it sacrilegious, and refused to shorten the original form of ‘Rift’ during rehearsals!” Perri laughs. Just before “Django Mort” is Labro’s arrangement of an unfinished Django Reinhardt mass, “Messe Gitane.” While researching Django’s death, Labro came upon the only recording of this remarkable work-in-progress, a roughly 10-minute fragment for solo organ. “Django never orchestrated any of it,” Labro reports, “but you can tell that something bigger was supposed to arrive.” Irabagon and Bishop both play clarinet on the piece, enhancing its chamber-like beauty. © 2012 Mack Avenue Records, Inc.